DAVID LE/Staff photo. 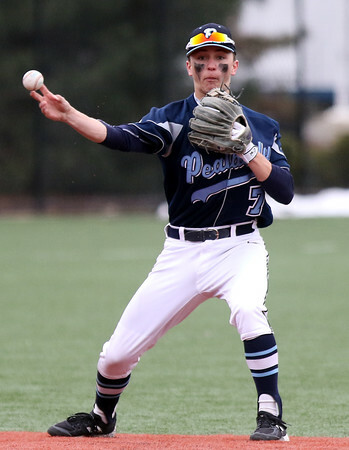 Peabody shortstop Jake Gustin fires the ball to second to record a force out at second against St. John's Prep on Saturday afternoon. 4/8/16.